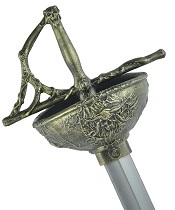 This is a golden and protective arrangement of perhaps the single most beautiful and elegant one-handed sword ever created, the Rapier, and is an astonishingly gorgeous weapon. 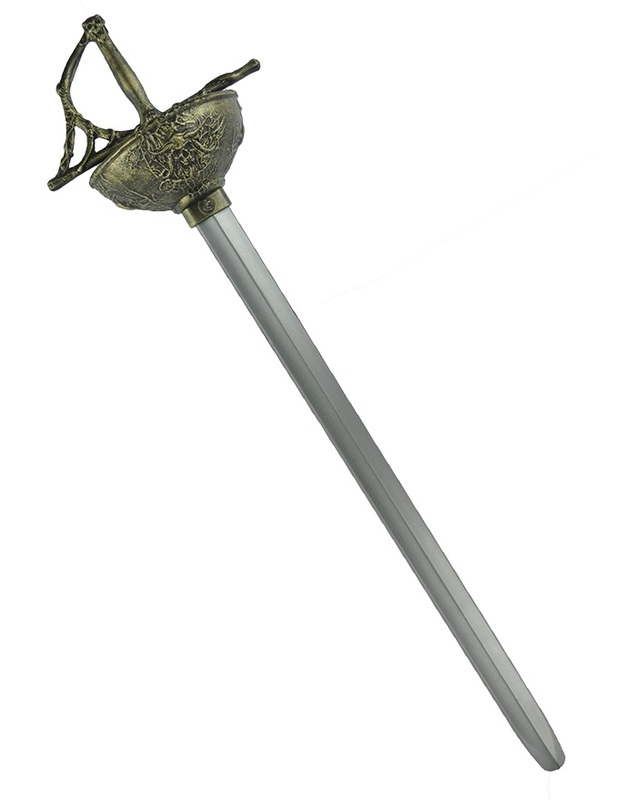 Lightweight, balanced, sleek and deadly, this sword allows the wielder to both attack and defend as fast as humanly possible. It is a joy to use and a delight to behold! The bell guard provides for superb protection of the wielders hands. 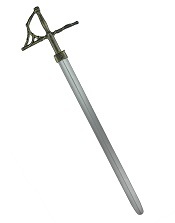 This makes the weapon far more deadly than most other swords. -foam thickness depth to core on all non-striking surfaces: 5/16"